Sciatica And Back Pain Treatment In Delhi. In simple words, low back pain can be defined as pain experienced in the bottom region of spine (between lower margins of ribs and the gluteal folds). It may remain localised to back or radiate to the legs. Sciatica is a term used for pain radiating down from the lower spine to the legs. Most common cause of sciatica is irritation or compression of the nerves as they exit the spine on their way to the legs. It may be accompanied by numbness, tingling and weakness in the distribution of the affected nerve. Globally low back pain (LBP) is one of the leading causes of disability. LBP is an important cause of limitation of activities, absence from work with resultant economic implications. In industrialised countries lifetime prevalence of non-specific low back pain is estimated at 60–70%.Despite the high incidence and intensive research into this area, pain generators are not easy to identify and the diagnosis Nonspecific Low Back Pain is used commonly. This is different from situations where a specific cause such as fracture, infection, neoplasm etc. responsible for pain generation can be identified. 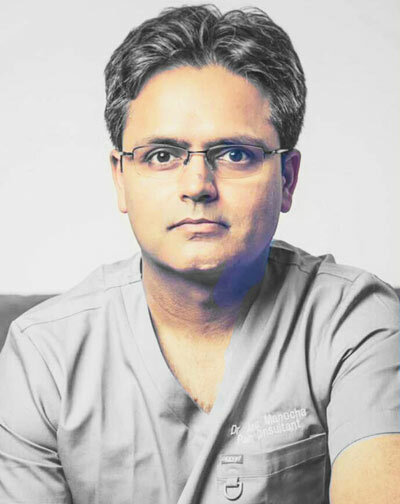 Pain Clinic offers non-surgical, minimally invasive management options. A combination of comprehensive history, examination and investigation findings is used to identify pain generators and draw up a management plan. Like with other chronic pain conditions, multimodal multi-disciplinary management based on biopsychosocial model of pain is the preferred approach. This involves using a combination of different modalities to provide maximum relief with minimal side effects. Please follow these links to find out how medication optimisation, physiotherapy and psychology can be helpful. These are used in combination with injections, lifestyle changes (such as pacing of activities, weight management, giving up smoking etc.) and complimentary therapies (such as acupuncture, meditation). A nerve root block is used for people suffering from radicular pain (in simple terms sciatica or pain radiating from the spine to the legs). It helps deliver maximum drug close to the area of actual pathology- disc bulge/ nerve compression with a favorable response especially if the procedure is performed soon after the onset of symptoms. It involves injection close to the nerves as they come out of the spine. A needle is placed under x-ray guidance and a dye (contrast agent) is given to check needle position prior to giving the local anaesthetic and steroid mixture. These injections can provide diagnostic information and therapeutic benefits. Cervical epidural – Indicated for neck and arm pain. It involves performing an injection at the base of neck under x-ray guidance. Lumbar epidural is performed for back, groin or leg pain. It involves a x-ray guided injection in the lower back at the waist level. The dorsal root ganglion appears like small swelling on the nerve where it joins the spinal cord. It houses the cell body of the nerve cells that are involved in transmitting the impulses from the periphery to the spinal cord. A dorsal root ganglion block is an injection of local anaesthetic and steroid around the dorsal root ganglion. This is performed under x ray guidance. Pulsed radiofrequency can help to prolong the effect of injection. Adhesiolysis means breaking down or lysis of adhesions. Adhesions may form as a result of previous surgery or infection. Scarring around a nerve root can result in persisting nerve pain. In such cases the steroids given in the spine injections may fail to reach the target site. Lysis of adhesions involves using a special catheter which can be steered towards the site of adhesions enabling loosening of adhesions and administration of drugs at the intended site. The procedure is performed under x-ray guidance and involves administration of dye (contrast) to verify the treatment of the target area. Spine has many vertebrae and these are linked to each other by small joints called facet joints. The main function of these joints is to provide stability while allowing some degree of movement. These joint commonly become painful and stiff as a result of wear and tear, inflammation or injury. The resulting pain is generally described as a dull ache, heaviness that may radiate towards buttock and thigh. Investigations such as x-rays and MRI may or may not show joint changes. It is important to understand that even if these investigations show wear and tear/arthritis, not every arthritic joint is painful so MRI findings alone cannot be relied on to make the diagnosis. A more reliable test to determine if these joints are responsible for your back pain is accurately placed injections and if the pain reduced significantly then these joints are the likely source of pain. Sacroiliac (SI) joints are large joints in the buttock and lower back region. These are two in number (one on each side) and can be a source of low back, buttock pain. The pain from SI joints can radiate down the legs. Patients with previous spinal surgery, leg length discrepancy, ankylosing spondylitis, and rheumatoid arthritis are more prone to developing sacroiliac joint pain. Sacroiliac joint injections can be either diagnostic or therapeutic. In therapeutic injections needle is placed under x-ray/ ultrasound guidance either inside the joint or as close to the joint as possible. A dye (contrast agent) is used to confirm needle position followed by the injection of a mixture of local anaesthetic and steroids. For diagnostic injections it is preferred to inject local anaesthetics into the joint space. Injections are combined physical therapy and medications to maximise the gains and prolong the benefits. Radiofrequency ablation can be considered if the effects are short lasting despite all the above measures. This treatment targets the nerves carrying the pain rather than the joint itself. Lateral cutaneous nerve of thigh supplies sensation to the side and front of thigh. Injury, compression or entrapment of the nerve can lead to altered sensation, numbness and pain in the area supplied by the nerve. The condition is called Meralgia paresthetica. The most common site for compression of this nerve is as it enters the thigh travelling in close relation to one of the thigh ligaments. Tight belts and clothes, recent weight gain or loss act as predisposing factors. The nerve can be identified with the help of ultrasound and guided injection can help relieve the pain. If required pulsed radiofrequency treatment can help to prolong the pain relief. Injection is performed under ultrasound/ x ray guidance (for hip radiofrequency) and a mixture of local anaesthetic and steroid is injected. I have had good results with this injection in relieve pain and medial thigh spasm in many patients with limited mobility. Lumbar sympathetic nerves run on either side of the spine and are responsible for controlling blood supply to the legs. Sometimes these nerves get involved in carrying pain sensations and contribute to persisting pain. Lumbar sympathetic block interrupts the flow of signals in these nerves and produces pain relief and increased blood flow to legs as a consequence. These injections can help in conditions with reduced blood supply to legs such as ischemic leg pain, non healing leg ulcers and other pain conditions involving the sympathetic nerves such as in Complex Regional Pain Syndrome, post amputation phantom limb pain. Block can be performed for diagnostic or therapeutic reasons. The difference between the two is in the drug that is injected. Diagnostic blocks involve injection of local anaesthetics to establish whether or not these nerves are involved in carrying the pain sensation. The relief from diagnostic injections may be short lasting, nevertheless it has an important contribution towards establishing further course of action and provides an opportunity to interrupt the pain cycle and engage in physical therapy. Therapeutic injections are aimed at providing prolonged pain relief. Piriformis and Obturator internus are buttock muscles in close proximity to one of the major leg nerves (sciatic nerve) as it leaves the pelvis and enters the leg. 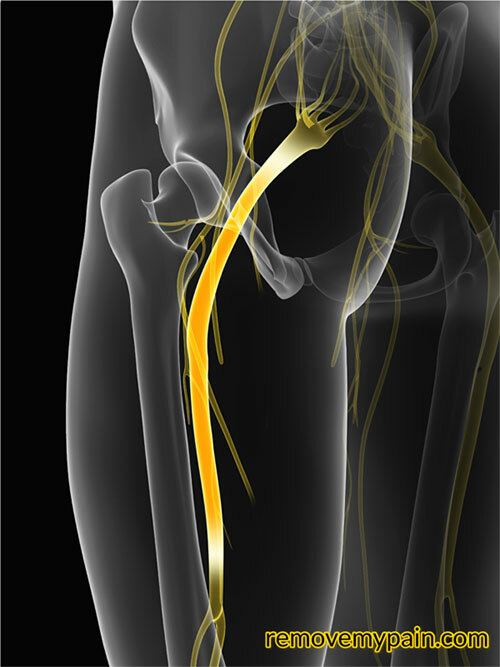 Pressure on this nerve can lead to sciatica/ nerve pain. This usually presents as buttock and leg pain which is worse in sitting position. Piriformis muscle extends from the side of the sacrum, tailbone to the upper part of the thigh bone (femur). Spasm, swelling or irritation of muscle can cause buttock pain and irritation of the sciatic nerve. Indications for injections include diagnostic purposes or for providing pain relief (therapeutic). It is performed under ultrasound guidance and involves injecting a mixture of local anaesthetic and steroid. Skeletal Muscles form a substantial proportion of human body and their ability to contract and relax helps in producing body movements. When muscles fail to relax, they form knots or tight bands known as trigger points. These can be a result of inflammation, trauma and injury of the muscle or the neighbouring structures. Poor posture and repetitive strain are other predisposing factors. They are more commonly observed in trapezius, neck and lower back muscles. Pressure over a trigger point produces local soreness and may refer pain to other body parts. Trigger points can limit the range of movement; affect posture predisposing other areas to unaccustomed strain. Trigger point injections are performed in an outpatient/ day-care setting and involve injection of a mixture of local anaesthetic and steroid. I prefer to perform these injections under ultrasound guidance as this helps in improving the accuracy and reduces the chances of complications. Post injection physiotherapy is essential to prevent recurrence and maximise the benefits. Hamstrings are a group of muscles present at the back of thigh. They extend from the pelvis (ischial tuberosity) to the knee and play an important role is everyday activities such as bending or running. Muscles attach to the bones with the help of a special type of tissue called tendons. With overuse, misuse or injury, these tendons can get inflamed, torn leading to development of a condition called tendinopathy. When the proximal part of hamstrings is involved it presents as buttock pain radiating down the back of knee. Pain may be worse on sitting on a firm seat. Sciatic nerve is present close by and its irritation can cause pain to radiate further down the leg. Condition such as unequal leg length, core and pelvic muscle weakness, being overweight and repeated overloading with insufficient warm up predispose to development of hamstring tendinopathy. Higher incidence is seen in runners, football players, dancers and older adults who do a lot of walking. Treatment options include rest, activity modification, physical therapy and medications. If these fail to produce desired results then injections with Platelet Rich Plasma (PRP), autologous blood (ABI) or steroids are considered. Percutaneous tenotomy is another option. Injections are performed under ultrasound guidance in the peritendinous region. Direct injection into the tendons is avoided. These are performed under local anaesthesia as an outpatient procedure or a day case. Trochanteric Bursitis presents as pain on the outer side of the hip joint. It now been renamed as Greater Trochanteric Pain Syndrome (GTPS) as a range of conditions including muscle tears, tendon issues and trigger points can produce similar symptoms. In this region is present the greater trochanter (bony edge on the top of the thigh bone) where the buttock muscles attach and many bursae to prevent friction. GTPS is more common in middle aged or elderly women and in athletes involved in prolonged running. Trauma, repetitive stress, leg length discrepancies and weak hip muscles can predispose to developing this condition. It presents as pain on the outer side of hip which can radiate towards the knee. Lying on the affected side may be uncomfortable. Conservative treatment involves avoidance of activities that aggravates the problem, ice, weight management, painkillers and physiotherapy. Injections are considered if conservative management is not producing desired results. Local anaesthetic and steroid injection can help break the pain cycle and facilitate physical therapy. These are performed under ultrasound guidance to ensure delivery of medication at the correct site and reduce changes of complications.